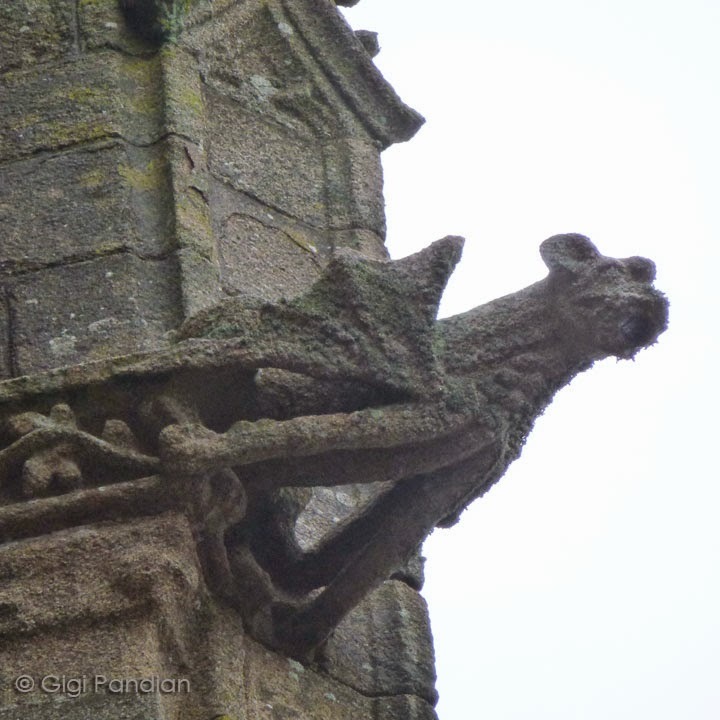 To celebrate this week's book launch of my latest novel, Quicksand, set partly at Mont Saint Michel, here's a closer look at the weather-worn gargoyles of Mont Saint Michel. 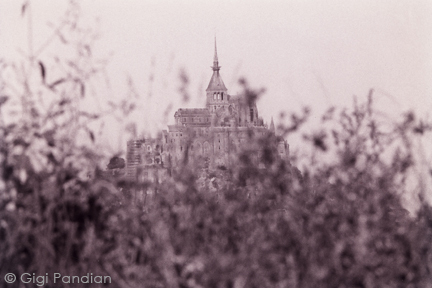 Mont Saint Michel is built on an island off the coast of Normandy. 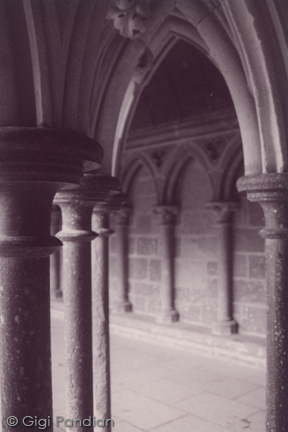 It has been a monastery, a scriptorium, and a prison. Because of its strategic location surrounded by dangerous tides and quicksand, it's been a relatively secure fortress during periods of history that were anything but secure. 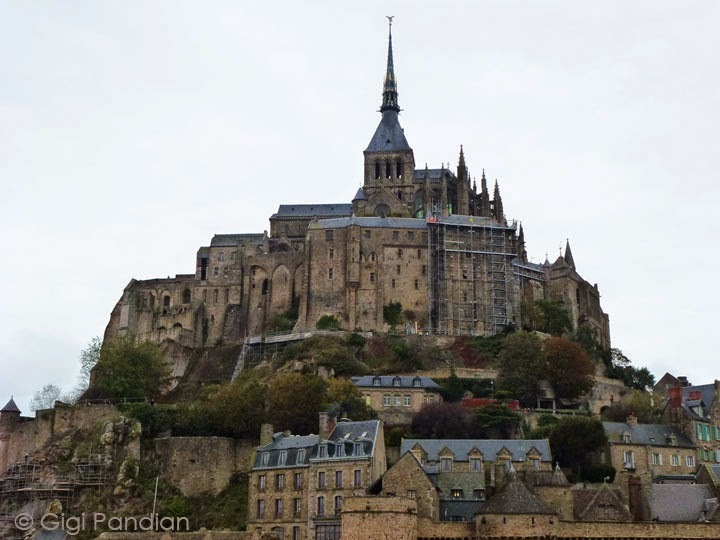 The hilly island off the northern coast of France in Normandy was transformed into Mont Saint Michel after a local bishop had a dream in the year 708. 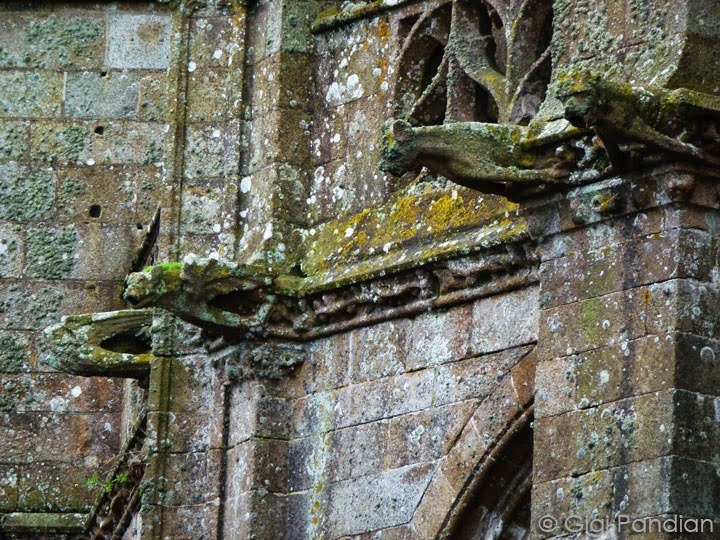 Saint Michael appeared to the St. Aubert, the bishop of Avranches, in a dream, and asked him to build a monastery. Legend says that Aubert thought it nothing more than a dream until Saint Michael returned in another dream -- and this time burned a hole in the bishop’s skull with the touch of his finger. 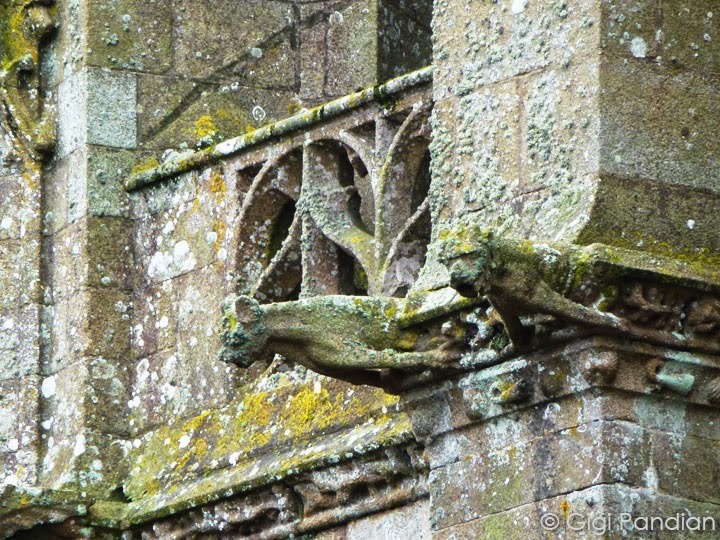 What's the difference between a gargoyle and a grotesque? A chimera and a hunky punk? And what about a babewyn and a green man? Read on. 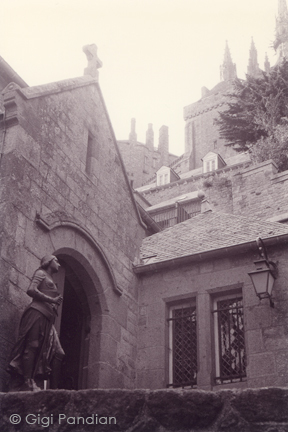 An architectural term for a carved figure serving as a water spout on a building. 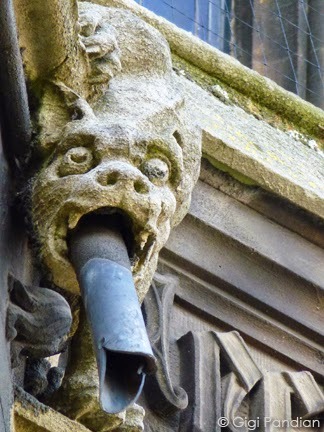 Though gargoyles are technically functional drainage spouts, the term is now more generally used to refer to all grotesques. Commonly represented beasts are lions, dragons, men, and perhaps most common of all are strange unidentifiable beasts – one of the reasons they hold so much mystery. 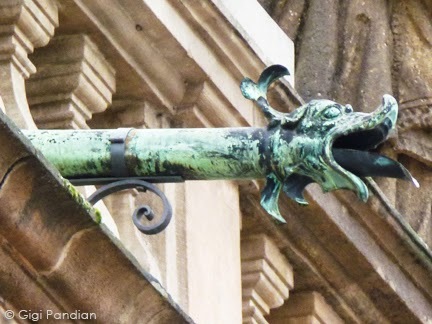 An ornamental figure not meant to function as a water spout. 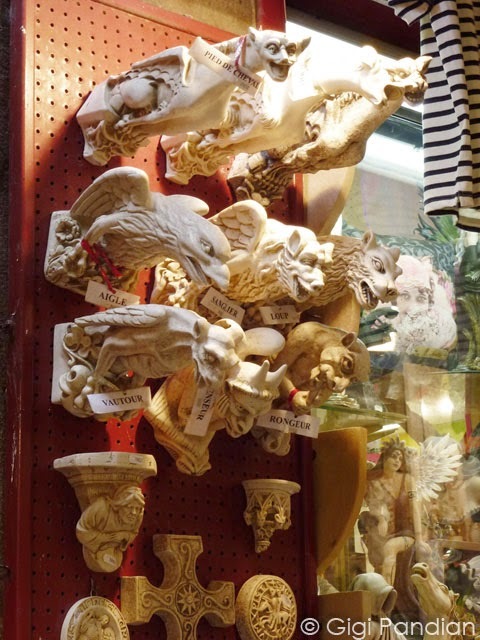 A term from the Middle Ages to refer to both gargoyles and grotesques. 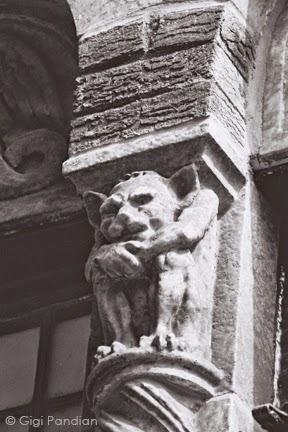 A regional term from Somerset (south-west England) to refer to grotesques, especially squat-shaped ones that appear on churches. 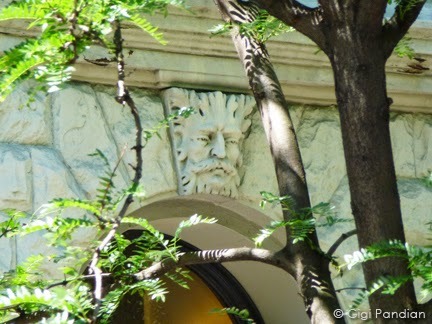 Commonly used as architectural ornaments on all sorts of secular buildings, these carvings are a face made of leaves or surrounded by them. Anthropomorphized building drainage spouts were first recorded in history in ancient Egypt. 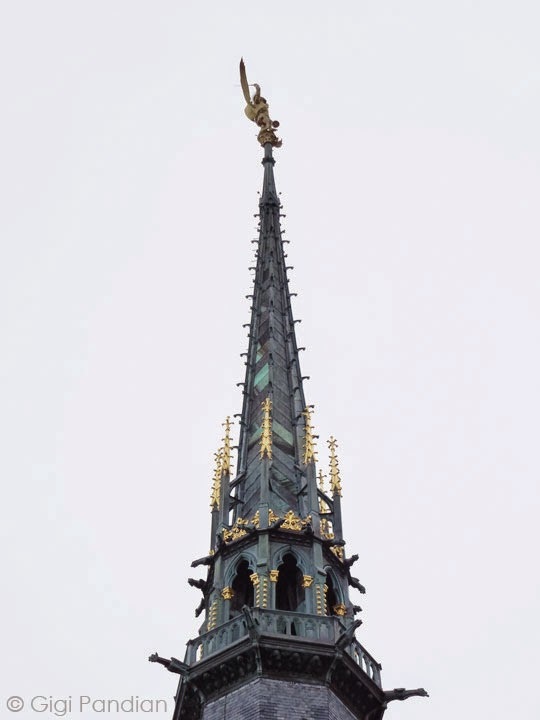 They reached the height of popularity in the Middle Ages on European cathedrals and churches, but are used on all types of buildings around the world and are still being carved to this day. 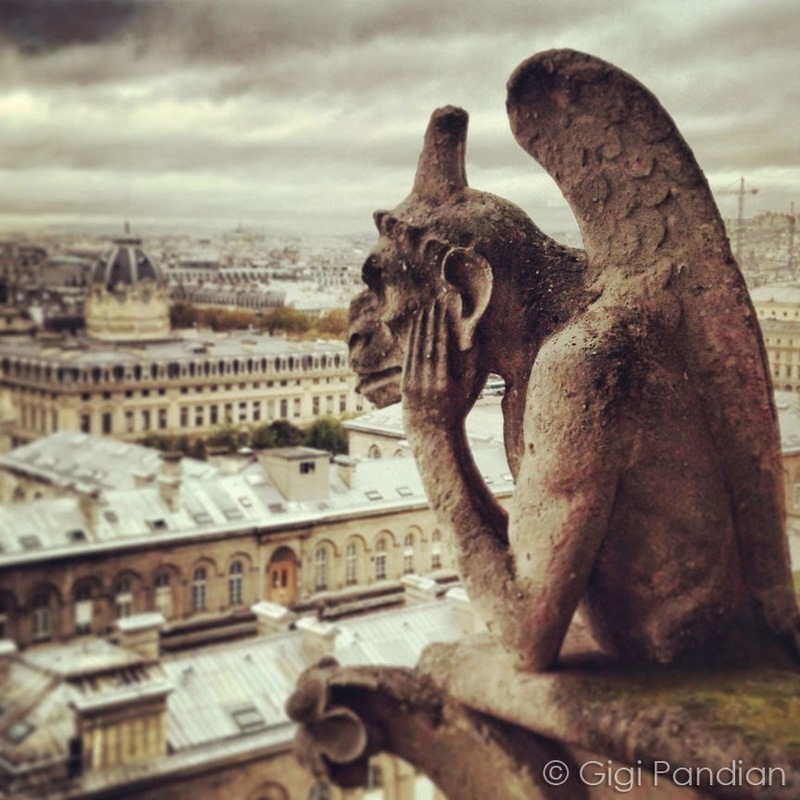 The famous "thinker" gargoyle that sits high atop Notre Dame in Paris is the carving that inspired Dorian, the gargoyle character in The Accidental Alchemist. 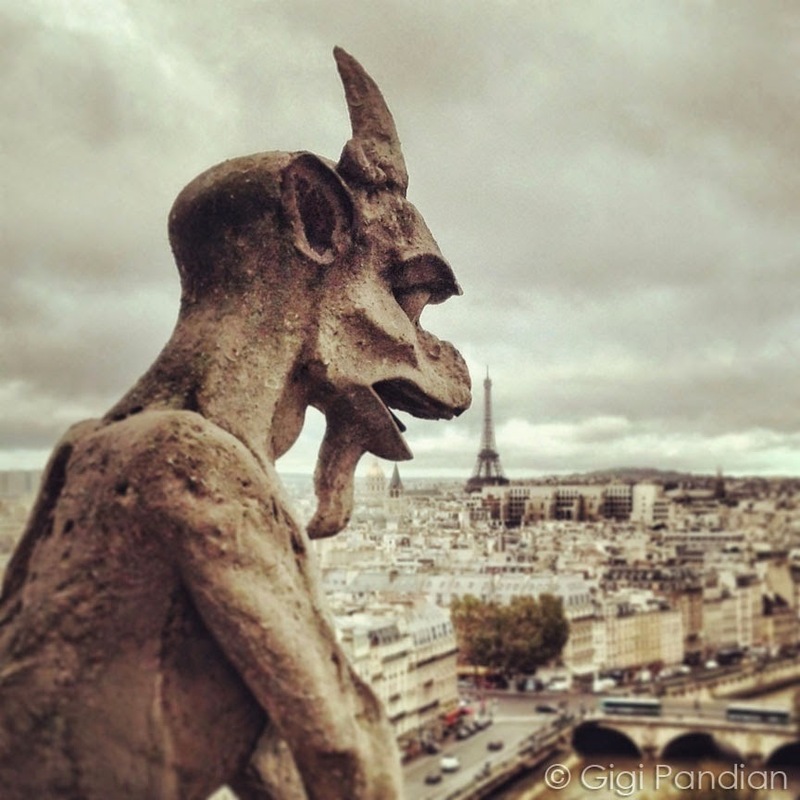 Even though I've climbed the 387 steps to the gallery of gargoyles many times, whenever I visit Paris I can't resist doing it once more. 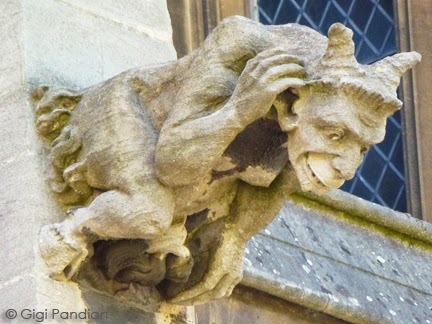 Each time I visit Viollet-le-Duc's gargoyles up close, I try to capture their spirit in a different way. 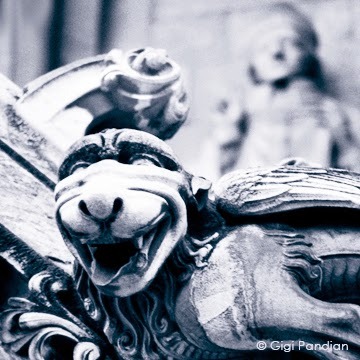 In addition to using regular print and digital cameras, I've take photos of these gargoyles with my lensbaby selective focus lens and with a Holga plastic camera. And the last time I visited, I used my cell phone. I never imagined those cellphone pictures would be some of my favorite images, but that's what happened. That day, a storm was approaching, and one of the Instagram filters perfectly rendered the ominous feeling of the storm clouds. One of the coolest things I found on a recent trip to France was this gargoyle pop-up book! 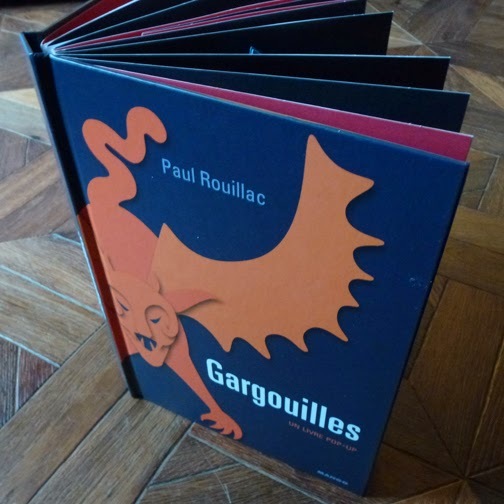 Gargouilles by Paul Rouillac features intricate paper pop-up gargoyles along with explanations (in French) about each of the original creatures they're based on. 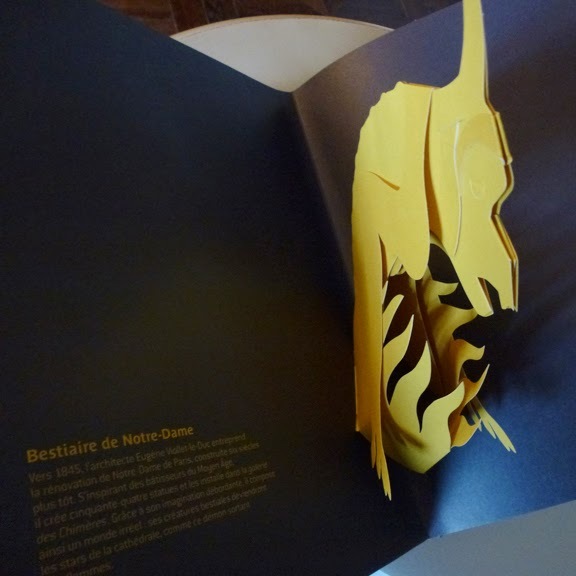 Included are several cut-outs inspired by Eugène Viollet-le-Duc's famous Notre Dame gargoyles. 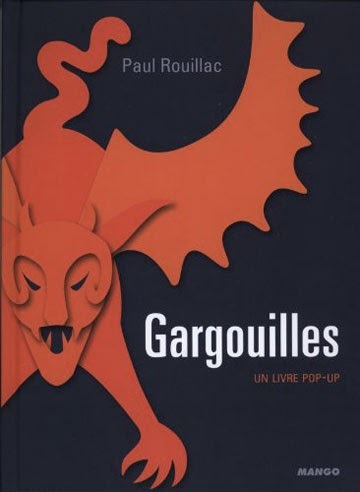 Because of my love of gargoyles, I always thought it would be amazing to create a book about gargoyles. 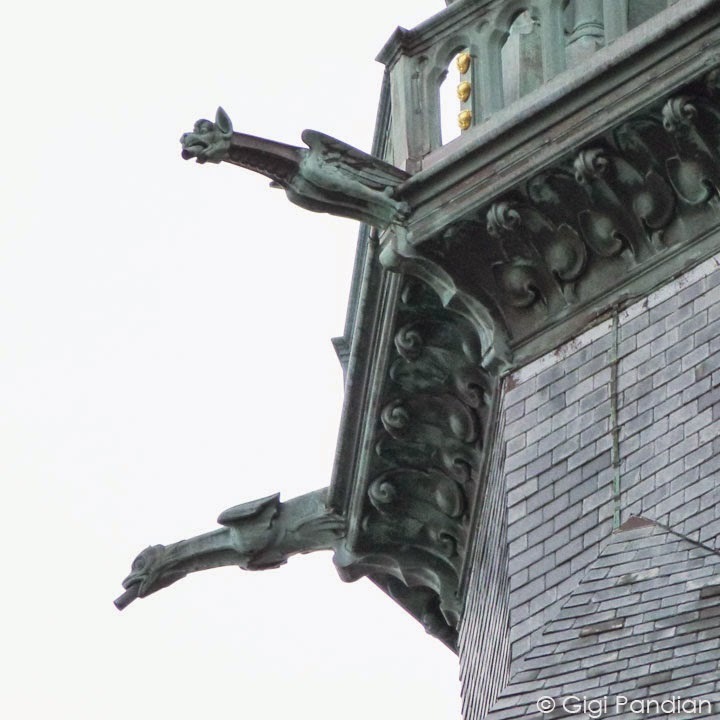 I thought about publishing a book of my gargoyle photography one day, but without an introduction from Stephen King like in the beautiful Nightmares in the Sky, I wasn't sure how realistic that was. 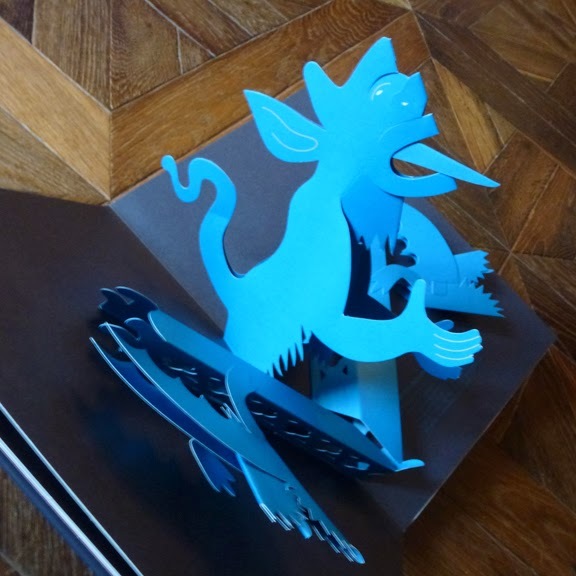 Then, two years ago, I had an idea for a new mystery series that it involved a gargoyle. 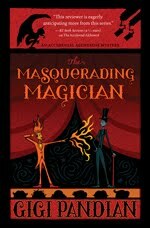 I'd finished writing a book in my Jaya Jones Treasure Hunt Mystery Series and wanted to write something new. 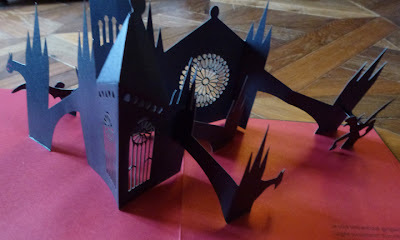 It took a little while for the ideas to fall into place, but once they did, I loved what I'd come up with. 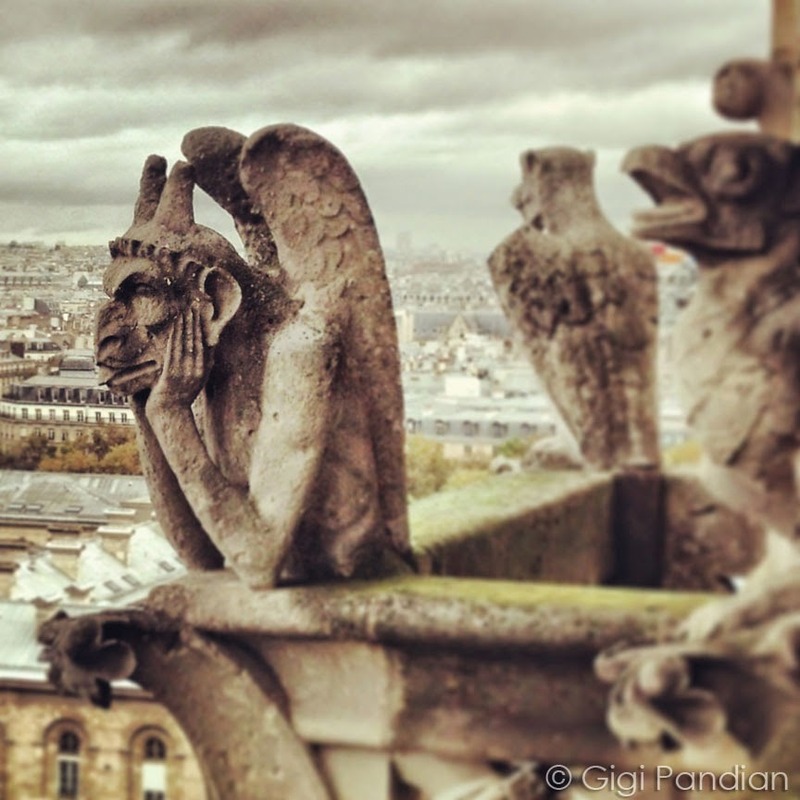 I wrote up a book proposal, and earlier this month my agent finalized a three-book deal with the publisher Midnight Ink for my new mystery series featuring a gargoyle! 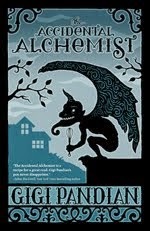 The Accidental Alchemist is the first book in a new mystery series about a centuries-old alchemist and her impish gargoyle sidekick who was accidentally brought to life by a French stage magician. The series is set in Portland, Oregon. Read more here. 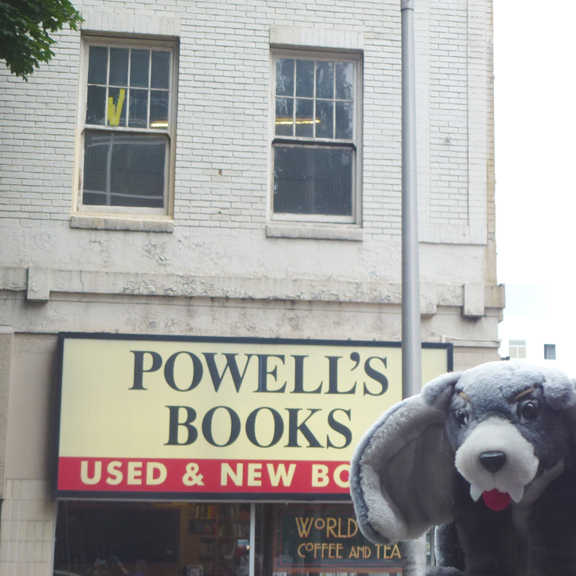 Dori the gargoyle at Powell's Books in Portland, Oregon. 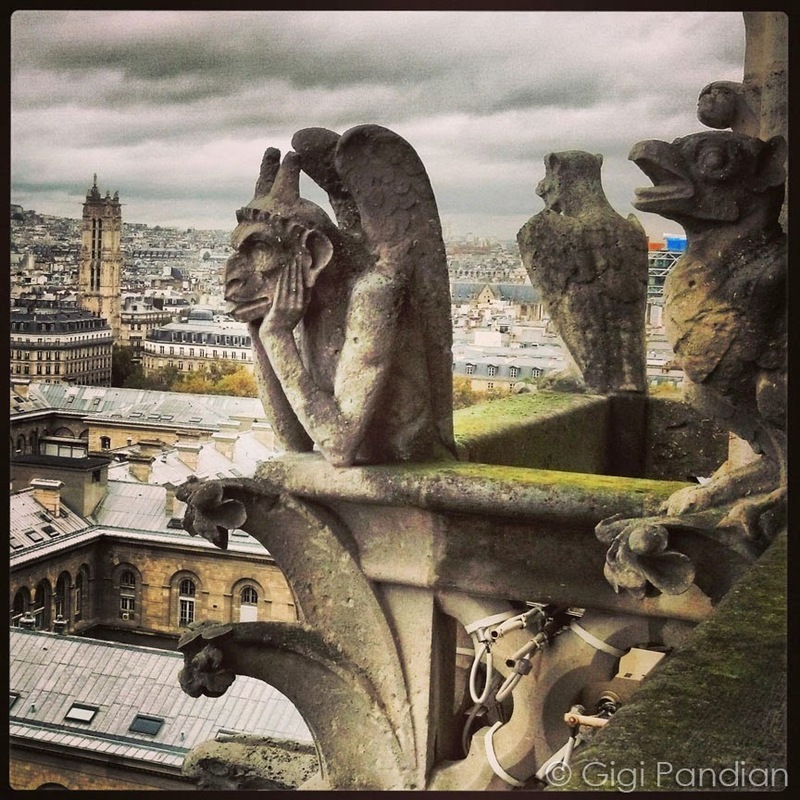 So my first book about a gargoyle won't be a book of photography, but a mystery novel! 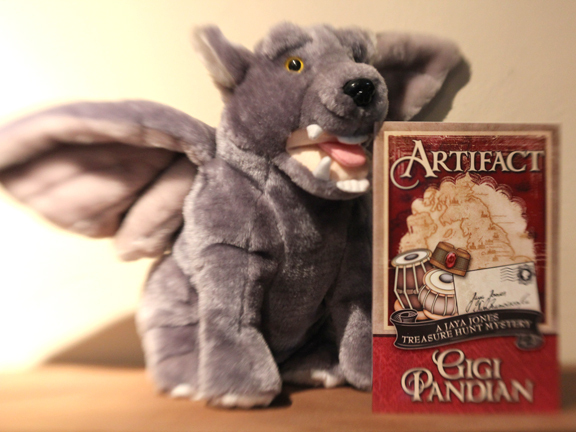 Dorian the gargoyle has a new stuffed animal friend to keep him company on my bookshelf. Here they are with the new Henery Press edition of Artifact: A Jaya Jones Treasure Hunt Mystery that hits shelves today! Dorian the gargoyle with Gigi Pandian's mystery novel Artifact. 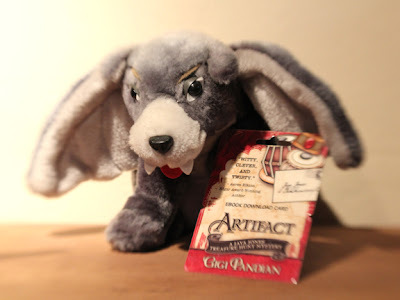 Dorian's gargoyle cousin with an eBook card of Artifact. 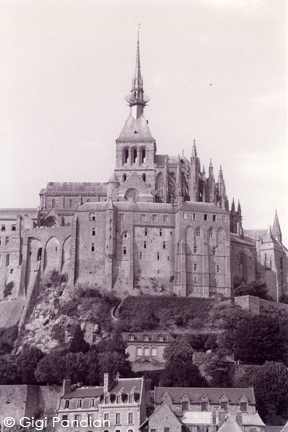 The building that gives Mont Saint Michel its distinctive skyline silhouette is the abbey. 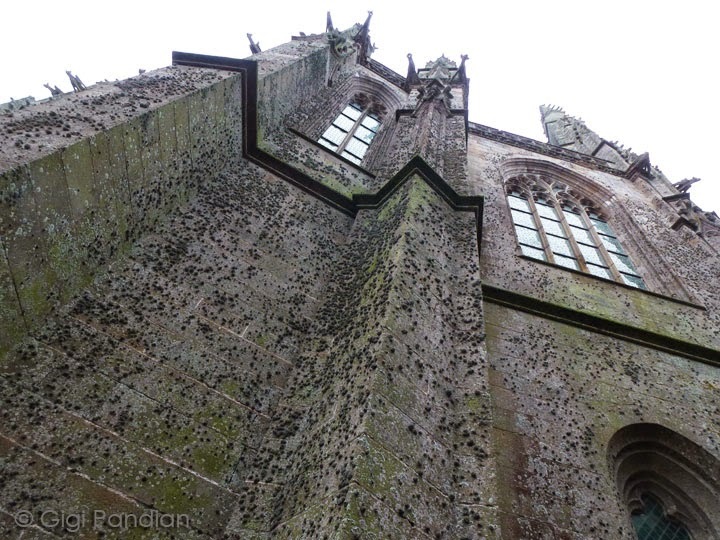 It's a church plus monastery and cloisters. 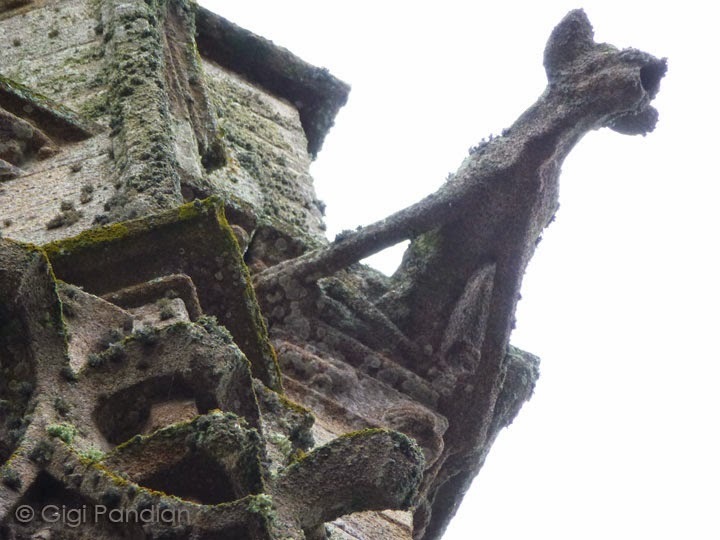 A statue of St. Michael (once a patron saint of the French Royal Army) can be seen at the top of the abbey spire. 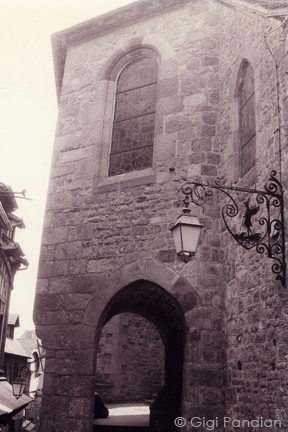 The abbey has a fascinating history, including being used as a prison. With its strategic location on an island surrounded by dangerous tides and quicksand, it's easy to see why it's had so many uses over time. 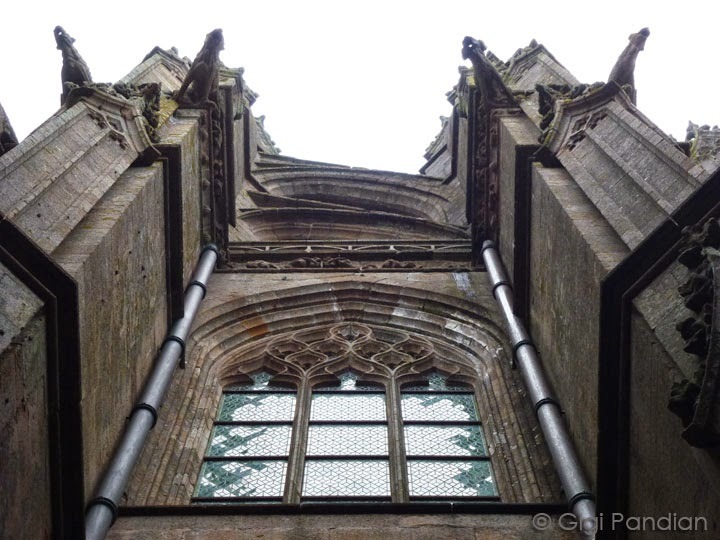 Last week I posted some additional Mont Saint Michel photos. 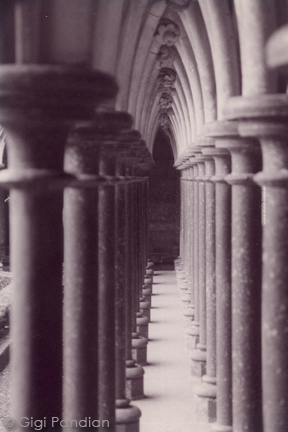 All these photos were shot on 35mm film during my 2000 visit.